One of the first things you learn as a dentist is that no two mouths are alike; which is why we need a customised oral hygiene routine. General health, nutrition and lifestyle all need to be considered when deciding on your level of cleaning and maintenance. An effective cleaning routine can dramatically reduce your need for "in surgery" cleans. For instance, if your "at home" cleaning routine isn't very effective a surgery clean will only keep your mouth stable for around 3 months; which means if you only visit every six months you will have tartar and plaque on the teeth and gums for 6 months of the year. This can result in damage to your teeth and tissues. It is much better to have an effective at home routine so you only need a surgery clean every two years. (Although we still recommend six monthly check ups). 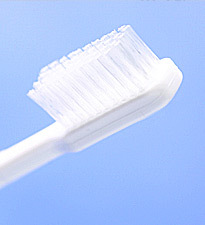 So an effective cleaning routine will actually reduce the risk of decay and gum disease. Our patients like the predictability that comes from this approach. They know that, barring accidents or trauma, they have more control of their dental treatment. Our maintenance program is designed to fit with yours. We aim to constantly keep you informed with feedback on the level of your oral hygiene through regular visits. We have the full range of equipment required to maintain the cleanliness and health of your gums and teeth and also have specialised equipment to gently remove stains without scratching or wearing teeth.